Use the impixelinfo function to create a Pixel Information tool. The Pixel Information tool displays information about the pixel in an image that the pointer is positioned over. If the figure contains multiple images, the tool displays pixel information for all the images. For more information about using the tool, see Tips. impixelinfo creates a Pixel Information tool in the current figure. impixelinfo(h) creates a Pixel Information tool in the figure specified by the handle h.
impixelinfo(hparent,himage) creates a Pixel Information tool in hparent that provides information about the pixels in himage. htool = impixelinfo(___) returns a handle to the Pixel Information tool uipanel. Display an image and add a Pixel Information tool to the figure. The example shows how you can change the position of the tool in the figure using properties of the tool uipanel object. 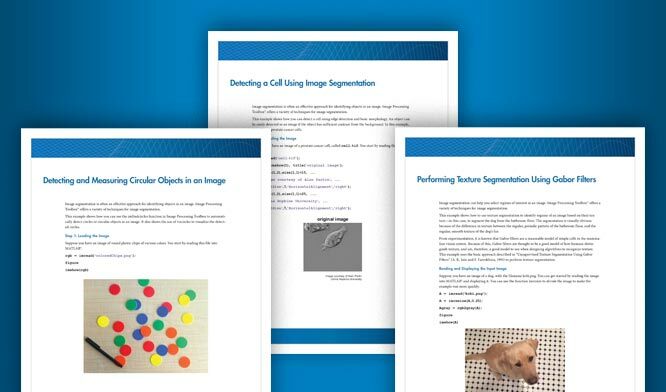 Use the Pixel Information tool in a figure containing multiple images of different types. Handle to a figure, axes, uipanel, or image graphics object, specified as a handle. Axes, uipanel, or figure objects must contain at least one image object. Handle to a figure or uipanel object that contains the Pixel Information tool, specified as a handle. Handle to one or more images, specified as a handle or an array of image handles. Handle to Pixel Information tool uipanel, returned as a handle. The Pixel Information tool is a uipanel object, positioned in the lower-left corner of the figure. The tool contains the text label Pixel info: followed by the pixel information. Before you move the pointer over the image, the tool contains the default pixel information text (X,Y) Pixel Value. Once you move the pointer over the image, the information displayed varies by image type, as shown in the following table. If you move the pointer off the image, the pixel information tool displays the default pixel information label for that image type. If you want to display the pixel information without the “Pixel Info” label, use the impixelinfoval function. To copy the pixel information label to the clipboard, right-click while the pointer is positioned over a pixel. In the context menu displayed, choose Copy pixel info.